The Big Brome Fair is being celebrated this long labour day weekend in Brome and it is going to be one of the biggest and best fair's ever! 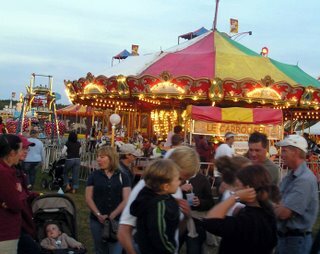 This year marks the 151st year that the Brome Fair has taken place and thecrowds are expected to be bigger than last year. As the Big Brome Fair prepares for the celebration of the 151st annual showing of this wildly popular event the atmosphere in the region is one of palpable excitement! Of course the Brome Fair is about family fun, with fun midway rides, music, clowns, magicians, petting zoos, games, food and bingo on site but it is also a serious agricultural show with events and judging taking place in many categories through the week-end. Last year's 150th birthday bash brought the addition of a beer tent for the first time ever in the history of the fair (Thank Goodness!). Traditionally the only beer or alcohol to be seen was at the make-shift get-togethers that tended to pop-up in the huge parking field or stable areas. Surely many a thristy cowboy will be glad to have the chance to saddle up to the bar and have a cold one! Main headliners for this year's fair include Desert Heat. After only a year of being in the Canadian country music scene, Desert Heat has become one of Canada's most popular new bands. They are at the CCMA's for indie group of the year, opening for some of Canada's biggest country groups and artists such as The Road Hammers, Doc Walker, The Wilkinsons and George Canyon to name a few. They have also now released four singles from the Cd Forever Road, with airplay not only doing well across Canada, but now gaining popularity overseas at radio. With over 1000 professional live performances under their belt, Desert Heat knows how to put on an explosive and dynamic show as well. They love to be on stage and love to entertain. One exciting addition will be Little Ray’s Reptile Zoo. Paul “Little Ray” Goulet, owner and head curator of Little Ray’s Reptile Zoo, located in Ottawa, Ontario, and has been caring for reptiles and amphibians since he was a child. 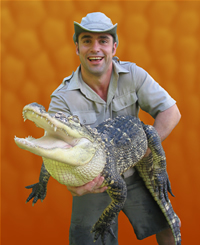 In 1995 he and his wife Sheri, began performing educational, live animal presentations to schools, birthday parties, corporate events, malls and fairs. In the fall of 2000, they opened their zoo and have watched it grow to have the most diverse collection of reptiles and amphibians in Canada. The zoo now has the largest outreach program in the country, performing over 2500 presentations a year in Eastern Ontario & Western Quebec. There will also be horse race betting as well! Wow...last year the booze started flowing and now the gambling is being brought in! Combine this with the big 4 x 4 trucks and the truck pull and you've got a little bit of red-neck nirvana right here in Knowlton! 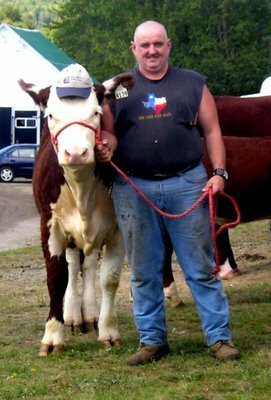 Check out our photos from last years Brome Fair or look back at the 2006 Brome Fair in our article from last year.